Learning letters has never been so fun! 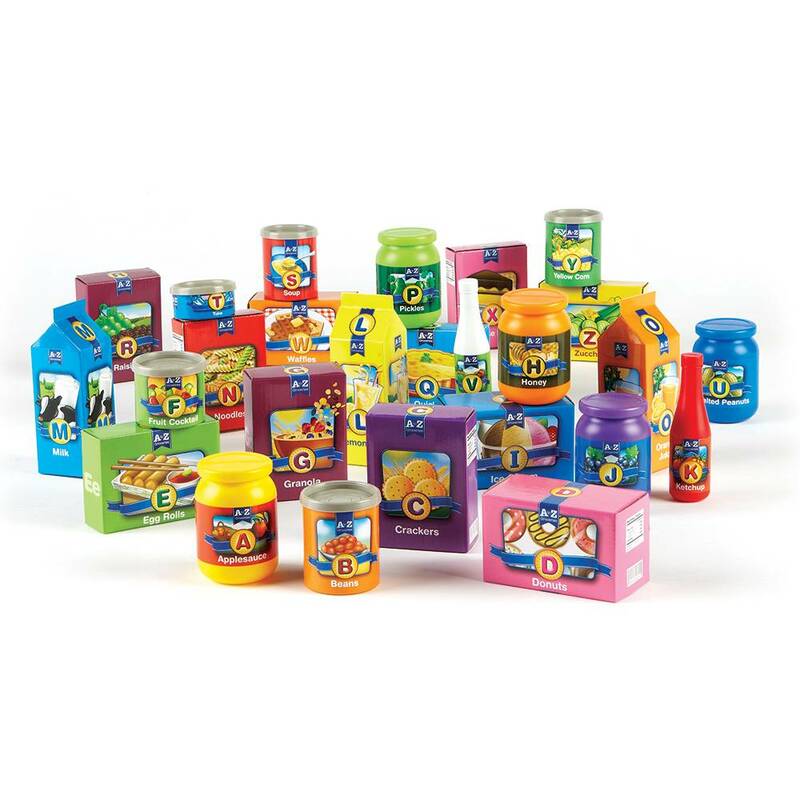 Colorful, realistic groceries provide a fun way to introduce early language skills and inspire hours of imaginative play. 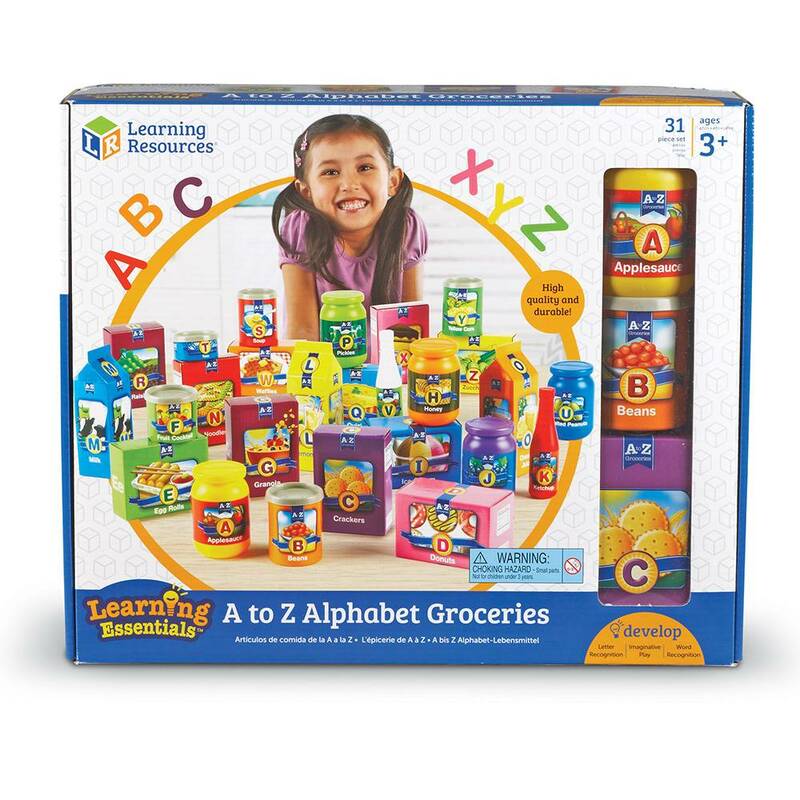 Each of the 26 groceries is labeled with a letter, word, and colorful picture. Great for reinforcing letter recognition, everyday vocabulary, and creative role-play.